In September 2017,the Stavros Niarchos Foundation (SNF), following discussions with the Ministry of Health, which indicated to the SNF the most pressing, prioritized, needs of the Greek Health sector, announced its intention to fully support a series of infrastructure and education projects to enhance the Health sector in Greece, with a budget approaching $348 million. On March 21st, 2018, the SNF signed a Memorandum of Understanding (MoU) with the Greek State at the Maximus Megaron marking the beginning of SNF’s major grants throughout the country. The MoU was signed between the Greek Prime Minister, Mr. Alexis Tsipras, and the Co-President of the SNF, Mr. Andreas Dracopoulos. The design of the infrastructure projects which will be carried out as part of the initiative will be undertaken by the internationally renowned architect, Renzo Piano and the Renzo Piano Building Workshop (RPBW), designers of the Stavros Niarchos Foundation Cultural Center, whose participation in the project will contribute towards introducing a new philosophy for harmonizing treatment areas with the natural environment. 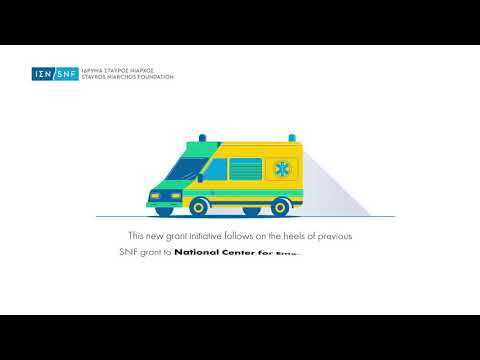 The grant initiative follows on the heels of a series of SNF grants of more than $130 million for the support of health programs in Greece, which include, among others, the SNF grant to the National Center for Emergency Care (EKAV), totaling $15 million, for the procurement of 143 state-of-the-art ambulances. Past grants in the health sector include the grant, totaling $23 million, to support the replacement of ten linear accelerators in seven public hospitals around the country, the grant for the renovation of all Pediatric Intensive Care Units (ICUs), as well as the grant for the construction and complete outfitting of hostels to house the relatives of patients in hospitals around the country. In addition, the SNF’s initiative for the establishment of the Mobile Medical Units, in collaboration with the NGO “Regeneration and Progress”, has wielded significant results in providing healthcare programs to residents of islands and remote areas in Greece. The initiative to enhance Greece’s Health sector is a testament to the SNF’s mission and long-standing commitment to Greece, and its support of projects that facilitate the formation of public-private partnerships as an effective means for serving public welfare. The implementation of grants within the framework of the grant initiative has started. The first step was the visit by representatives of the SNF, along with architect Renzo Piano and his architectural firm RPBW on the sites of the new infrastructure projects in Komotini, Thessaloniki and Athens (Evangelismos Hospital). On September 20th, 2018 the Grant Contract between the Stavros Niarchos Foundation (SNF) and the Greek State for the implementation of the Health Initiative projects was ratified under law by the Greek Parliament.